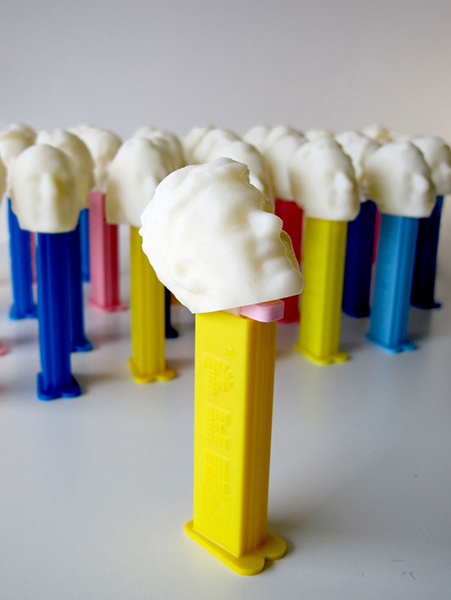 Toronto’s 3D-printed jewelry company Hot Pop Factory received a client request to come up with a fun 3D-printed holiday gift for each of their employees, and I think their idea knocked it out of the ballpark: 3D scanned and printed Pez dispenser head toppers! 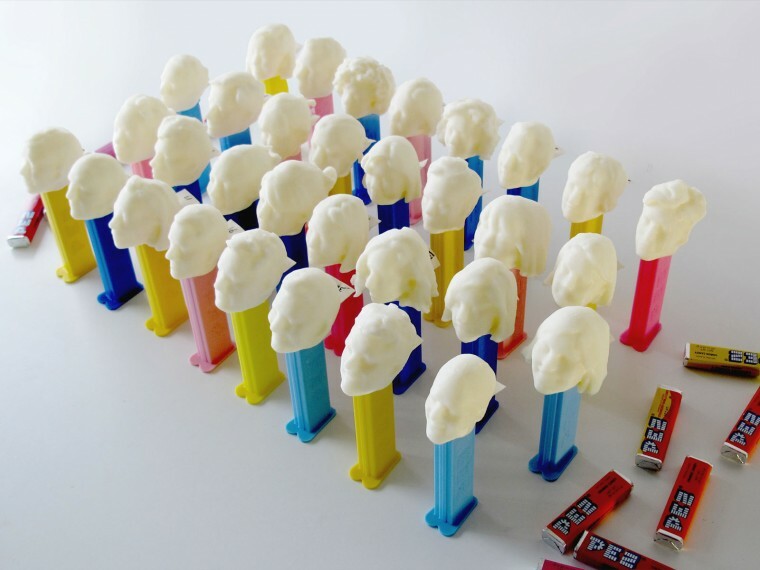 They scanned the each employee’s head using an Xbox Kinect, ReconstructMe software, and “some open-source hackery.” After cleaning up the scans and adding the candy dispenser connection, they printed all 32 heads out on what looks to be a MakerBot Replicator 3D printer. All 32 employee-head Pez dispensers, ready to go. 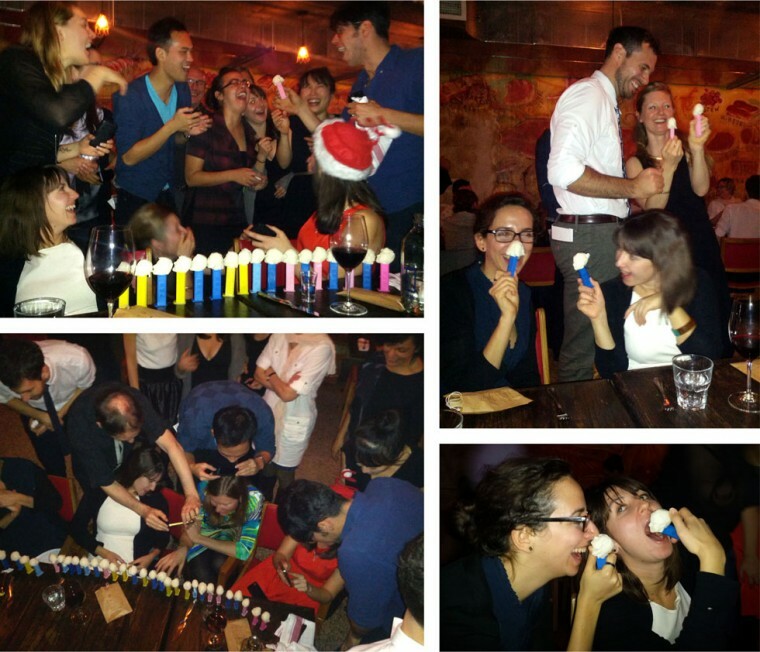 Employees react as they receive their look-alike Pez dispensers.